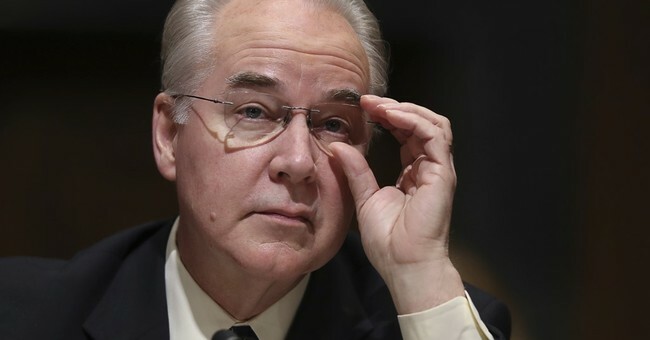 Congressman Tom Price has been waiting…and waiting…and waiting to be confirmed as Secretary of Health and Human Services. His delay could be on a record setting pace if Senate Democrats have their way. If only these politicians put the same effort into delving into Rep. Price’s legislative history as they have his stock portfolio, if they genuinely looked at his record instead of clinging to the failed legislation that is Obamacare, perhaps the good doctor would be applying his considerable work ethic to the task at hand: bringing about real, common sense reform to American health care. Once Democrats accept the fact that Obamacare is destined for the ash heap of history they could look at Dr. Price with clarity and identify what his colleagues already recognize - a passionate advocate for patients, seniors, women, physicians, families and veterans. Dr. Price supported 2012 bipartisan legislation, the Health Care Cost Reduction Act, to repeal both the tax on medical devices and limitations on the purchase of over-the-counter medications, two elements of health care targeted by Obamacare. This same legislation also allowed for improvements to Flexible Spending Accounts which would have allowed families to save more of their money for health care. Dr. Price also supported the 2014’s Employee Health Care Protection Act, to protect individuals and families insured through an employer from losing their current health insurance due to the implementation of the Obamacare. This legislation also proposed dismantling the Independent Payment Advisory Board (IPAB). A product of Obamacare, the IPAB would be comprised of unelected, non-medical bureaucrats who answer to the president and wield the power to determine physician payments for treatment and other services under Medicare. Also in 2014, Congressman Price stood up for seniors when he introduced to Securing Access Via Excellence (SAVE) Medicare Home Health Act that repeals the deep cuts to Medicare home health care. If you recall, Obamacare removed billions of dollars from this vital service for the most elderly, infirmed and mostly female Medicare demographic. Not only did this legislation propose to stop the cuts, Dr. Price also wanted to establish a Value-Based Purchasing (VBP) Program to improve the care being provided to seniors and to reduce avoidable spending in the program. SAVE Medicare Home Health Act would have rewarded high performing home health agencies for the care they provide, while giving the lowest value-based incentive payments to low performing agencies. VBP would have allowed Health and Human Services to reward agencies that provide high quality, low cost health care and keep patients at home. This is the kind of passionate advocacy combined with novel, out-of-the-box reasoning that Dr. Price will bring to HHS once he is confirmed. As a physician, Dr. Price understands practice-based medicine. He sought to empower his fellow doctors when he introduced the Medical Practice Freedom Act of 2011 that prevents the Secretary of HHS or any state from forcing physicians to participate in any health plan as a condition of their licensure. There have been many horror stories surrounding the Veterans Administration during the Obama Administration. We’ve all heard of veterans dying while on waiting lists for treatment, succumbing to treatable wounds, potential HIV infection after visiting a VA dentist and suffering the indignation of being discovered deceased after hours in a VA shower room. Dr. Price acknowledged the sacrifice made by America’s men and women in uniform as well as the tragedy of shoddy treatment at some VA hospitals across the country. He honored them by supporting the Veterans Access to Care Act of 2014, legislation passed by the House that provides veterans with flexibility and choice in gaining quality health care outside of the system. This is but a small sample of Dr. Price’s record not only as a health care advocate, but also as a profound deep thinker when it comes to finding solutions for America’s health care woes. His leadership, compassion and experience reinforce President Trump’s decision to nominate him to lead HHS. Now if only Senate Democrats would just get out of his way. Andrew Mangione, is a former senior health care executive for both non-profit and for-profit groups and was also Vice President of Government Relations for AMAC – the Association of Mature American Citizens. He writes on health care issues.